The Pittsburgh Steelers will play the New England Patriots in the AFC Division playoff game next Sunday…well that was what I heard all this week. The Steelers though hobbled by key injuries on their offense and defensive were nine point favorites to defeat the Denver Broncos and move on in the playoffs. That did not happen. Since i listen to and watch a great amount of sports radio and television I can say that if there were “experts” out there picking the Broncos to win this game they were not saying so with any conviction. The best that I heard was that the Broncos would likely cover the point spread but not win. 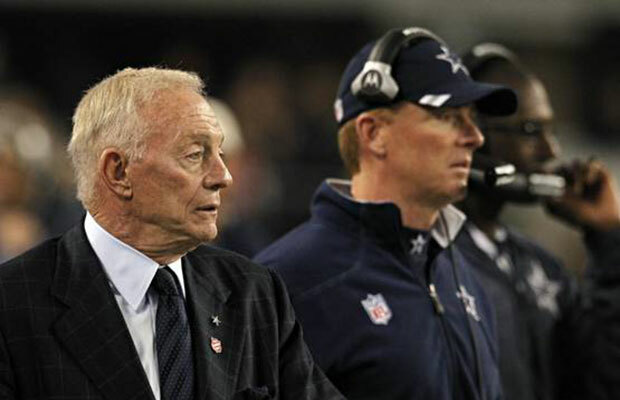 That was even the talk before the game today. And why not? Who could blame the experts? The Steelers were 12-4 during the regular season. The Broncos had lost their last three games and had not scored a touchdown in their last 22 offensive drives. The magic seemed to have disappeared for Tim Tebow, the defense was porous and a week ago the Broncos just looked bad against he Chiefs. They won the AFC West because the Oakland Raiders lost their final game against the hapless San Diego Chargers looking every bit as bad as the Broncos. Yes the Steelers were banged up but certainly Tim Tebow stood no chance against their top ranked defense. That was the line. Tebow was history and had every possibility of being replaced by backup QB Brady Quinn during game if the Broncos fell behind according to some. I didn’t have a dog in this fight. I don’t care for the Steelers and because I grew up with the Raiders really am not a Broncos fan. But given the choice I would root for the Broncos something that goes back to Franco Harris and the Immaculate Reception against the Raiders back in December of 1972 but I don’t hold grudges, I did root for the Steelers whenever they played the Cowboys in the Super Bowl. However things did not play to the script of the experts. I am not a big Tebow fan and don’t believe that he is at the same level as Aaron Rogers, Tom Brady or Drew Brees. That being said I do believe that Tebow has character and is a leader who can win in the most unlikely circumstances. I also think that the mean spirited and cynical attacks on his faith are uncalled for and classless and that politicians that compare themselves to him are are even worse than Tebow’s most mean spirited critics. Today Tebow and the Broncos offense dominated the Steelers defense and the Broncos defensive unit put the hit on Steelers QB Ben Roethlisberger sacking him 5 times and intercepting him once. Tebow who had struggled terribly over the past few weeks came though in a big way. He threw for 316 yards and ran for another 50 while throwing two touchdowns and rushing for another without committing the turnovers that plagued him in the last three games of the season. After giving up two first quarter field goals the Broncos scored 20 points in just under 7 minutes during the 2nd quarter to lead the game 20-6 at the half. The Steelers tied the game at 23 with 3:48 left in the game sending it into overtime. The overtime was the first played under the new sudden death rules but those rules became irrelevant on the first play of overtime when the Tebow hit WR Demaryius Thomas on a 80 yard pass scoring 11 seconds into the overtime an NFL record. It was a stunning play which electrified the Broncos fans and even owner John Elway who appeared exuberant on the sidelines. The Steelers were stunned. Their season was not supposed to end in Denver. 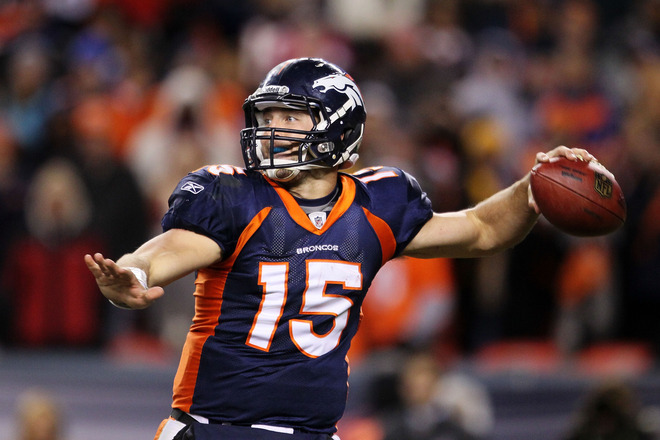 Tim Tebow and the Broncos now travel to Foxboro to play Tom Brady and the powerful New England Patriots. 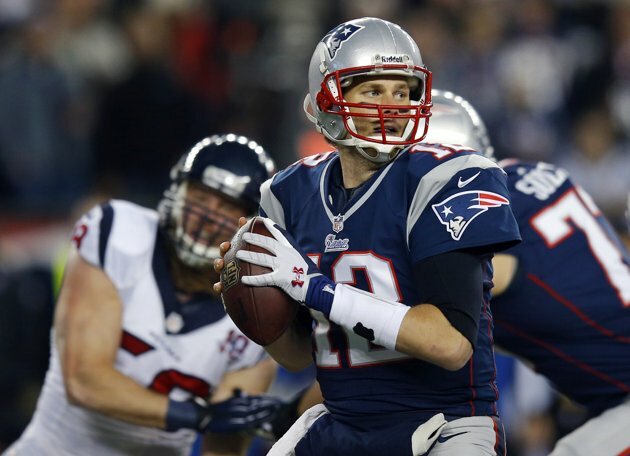 The Patriots are already big favorites and are certainly the best team in the AFC. They have been rolling over their opponents even after giving up big leads early. I do expect that the miraculous season of Tim Tebow and the Broncos ends this week but if there is a quarterback and team that could upset the Pats in Foxboro it is Tim Tebow and the Broncos. If they keep the game close it could be a classic. In other playoff action the New York Giants dominated the Atlanta Falcons 28-2, the Houston Texans won their first playoff game in franchise history defeated the Cincinnati Bengals 31-10 after trailing 10-7 at the half and the New Orleans Saints defeated the Detroit Lions 45-28. As for Broncos and Tim Tebow the season is the stuff that legends are made of and Tebow, well in my humble opinion he is going to become a legend in the NFL. It won’t be because he is or ever will be the best passer in the game, but it will be because of his athleticism, character and leadership abilities. Of course I could be wrong but there is something special about him and I think that 10 years from now people will still be scratching their heads and wondering how he does what he does. As for me, I’m cheering for my 49ers and they will only see the Broncos if they meet in the Super Bowl. Note: Though this is an essay about a great Super Bowl tonight the Saints took home the Lombardi Trophy as they defeated the Colts 31-17. 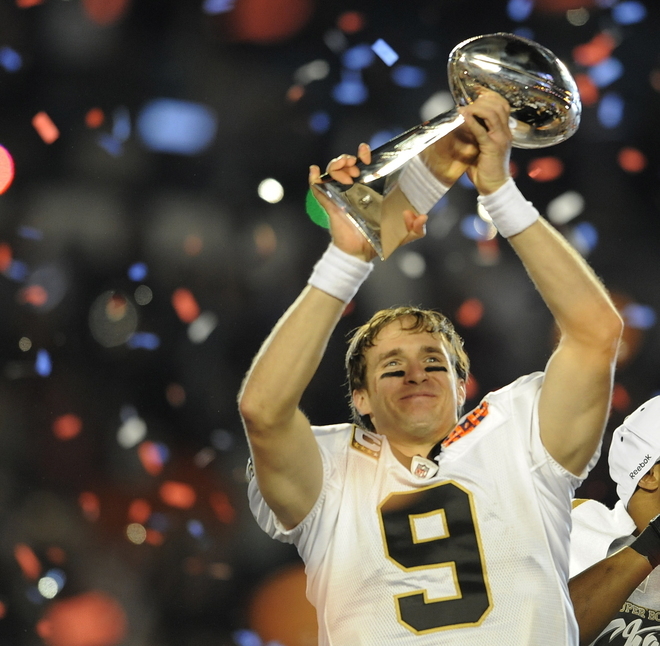 I have included a post script at the end of this article about the Saints’ historic win. As anyone who knows me well or reads this site knows I am not a football person. God speaks to me through baseball, and despite its popularity football to me is somewhat interesting but not in the same league as the one true religion, the Church of Baseball of which I am a member of my local parish, Harbor Park in Norfolk Virginia. Despite this disclaimer I will watch the game though not with the same level of attention to or interest as I will baseball. Now does not mean that I am ignorant about the game for I have played it in High School and grew up in a family of fanatical Raiders and 49ers fans. 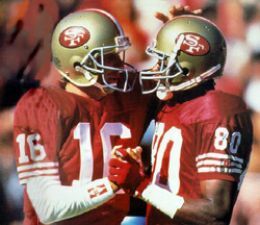 I am a 49er fan through thick and thin lately mainly thin but back in the day of Saint Joe Montana, Jerry Rice and Bill Walsh they were the dominant team in football. The had previously won two Super Bowls, Super Bowl XIX where they defeated Dan Marino and the Miami Dolphins 38-16 and their first Super Bowl, Super Bowl XVI in which they defeated the Cincinnati Bengals 26-21. Super Bowl XXIII played in Miami’s Joe Robbie Stadium on January 22nd 1989 featured a classic rematch between the 49ers and the Bengals. 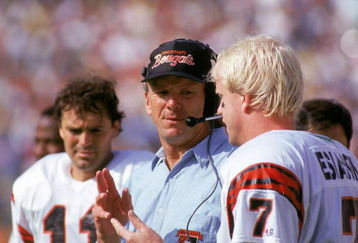 The Bengals coached by the freewheeling and ever colorful Sam Wyche and quarterbacked by Boomer Esiason had won the AFC with a 14-5 record. 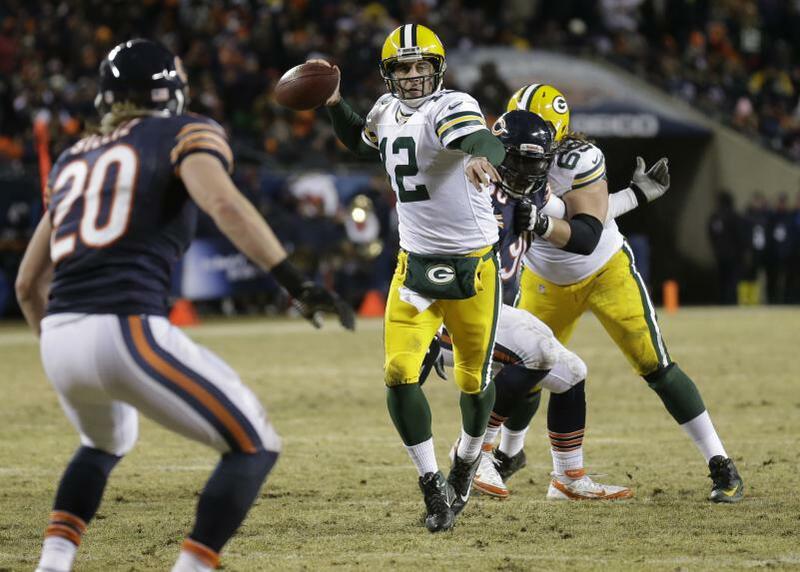 Esiason was the NFL Most Valuable Player throwing for 3,572 yards and 28 touchdown passes with only 14 interceptions. 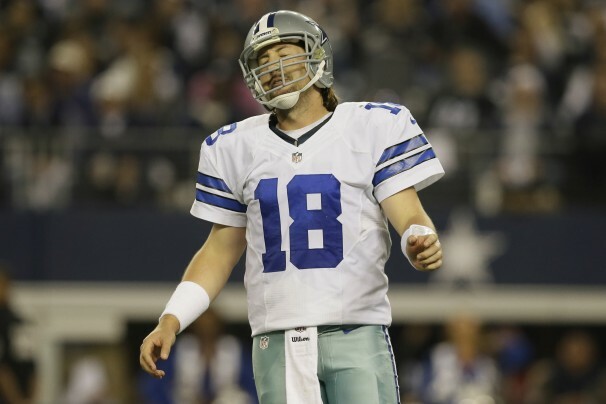 He had a league leading passer rating of 97.4. He also rushed for 248 yards. The Bengals had a top notch team with six Pro-bowlers including future Hall of Fame Offensive Tackle Anthony Munoz. Finishing the season at 12-4 the Bengals went on to defeat Seattle and Buffalo to advance to the Super Bowl. 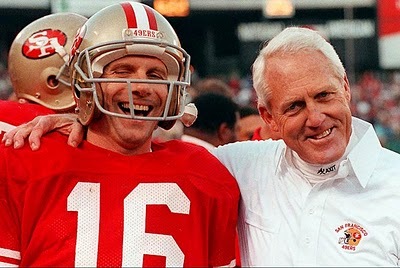 The 49ers coached by Bill Walsh had already won 2 Super Bowls. This would be Walsh’s last game as the coach of the 49ers and a year that they went 13-6 including the win in the Super Bowl. The 49ers had started the season slow going 6-5 before Montana led them to wins in 4 of their next 5 games to end the season at 10-6. They then defeated both Minnesota and Chicago in very lopsided games to advance to Miami to meet the Bengals. Montana completed 238 passes for 2981 yards and 18 touchdowns. He would be aided by future Hall of Famers Jerry Rice, Roger Craig and Defensive Back Ronnie Lott. The game was one of the closest Super Bowl in Super Bowl history and bucked a trend of blowouts that had marked many of the Super Bowls of the 1980s. With the game tied 6-6 with under a minute left in the 3rd Quarter following a 49er’s field goal Cincinnati kick-off returner took the ensuing kick 93 yards for a touchdown and a 13-6 lead. The 49ers then came back to tie the game with a 4 play 85 yard drive featuring a 31 yard pass to Rice, a 40 yard completion to Craig and finished with a 14 yard touchdown strike to Rice to tie the game 13-13. 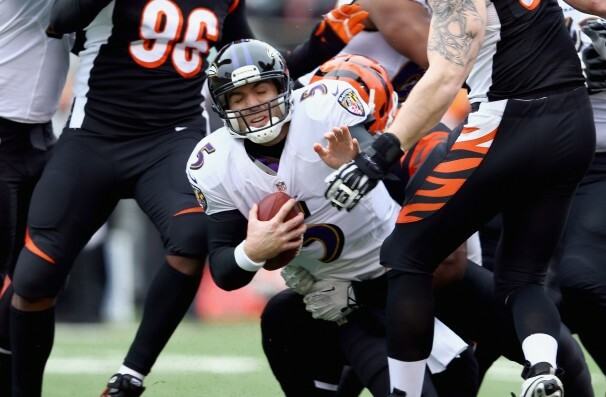 After an exchange of possessions which included a missed 49 yard field goal attempt by the 49ers the Bengals took possession at their 32 yard line. In a 46 yard 10 play drive the Bengals kicker Jim Breech hit a 40 yard Field Goal with 3:20 left in the game. 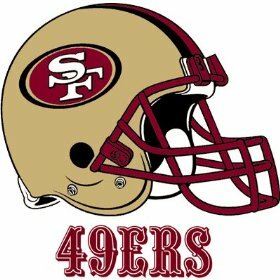 The 49ers were penalized on the ensuing kick-off for an illegal block in the back took possession at their own 8 yard line. It was at this point that Montana, Rice and crew would launch a magical drive that would go down in the annals of NFL lore as simply “the Drive.” Like “the Catch” against the Dallas Cowboys that ended that 1970s dynasty it was a defining moment for the 49ers which would forever place Montana and Rice as well as an unlikely hero named John Taylor in the made Super Bowl history in a game that NFL.com in 2006 named as the number one of the top ten Super Bowls of all time. Montana entered the huddle with much on his shoulders. Apart from the scoring drive at the beginning of the quarter the Bengals defense had played the 49ers tough bending but not breaking. With the crowd roaring Montana looked up from the huddle and pointing to the stands said to his offense “Hey isn’t that John Candy?” to calm his team. In the ensuing drive Montana befuddled the Bengals defense throwing inside routes to Craig, Rice and Tight End John Frank and mixing in solid rushes by Craig to reach the Bengals 35 yard line. Montana then threw an incompletion and the following play Center Randy Cross was flagged for an illegal man downfield penalty which put the 49ers with a second and twenty at the Bengal 45 with just 1:15 left. Montana brought the 49ers back quickly hiting Rice for 27 yards before he was brought down at the Bengal 18. Montana then hit Craig for 8 years to the Bengal 10 with 39 seconds left. Montana capped the drive with a 10 yard strike to John Taylor in the end zone for the winning touchdown. Rice who had 11 receptions for 215 yards and scored a touchdown was the Most Valuable Player. Montana passed for a Super Bowl Record 357 yards going 23 of 36 and two touchdowns. On the final drive “Joe Cool” went 8 for 9 for 97 yards. It was an amazing performance. 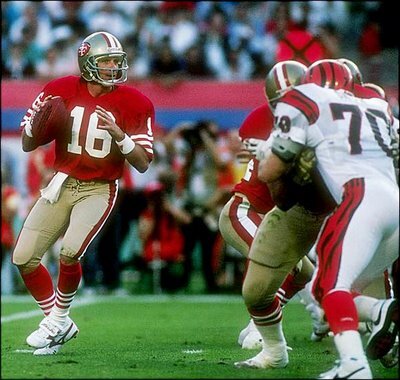 The following year Montana would lead the 49ers to their fourth Super Bowl victory in which the 49ers went 17 and 2 and destroyed the Denver Broncos by a score of 55-10 in Super Bowl XXIV at the Louisiana Super Dome in New Orleans. Post Script” Since I am ending this post with the 49ers victory in New Orleans tonight in Super Bowl XLIV in Miami where 21 years ago Joe Montana worked his magic. In tonight’s game New Orleans Saints Quarterback Drew Brees led his team over the favored Indianapolis Colts by a score of 31-17. Brees picked apart the Colt’s secondary and was ably assisted by a stingy defense that after allowing the Colts an early 10-0 lead dominated the Indianapolis offense. The victory is especially sweet for the Saints and the city of New Orleans which until now had never won a major championship. The Saints who for many years were the doormat of the NFL being so bad at times that they were knows as the “Aints” and their fans would wear paper bags over their heads at their home games. With the devastation of the city in by Hurricane Katrina in 2005 and suggestions that the team be moved to another city the Saints helped provide inspiration as the city recovered. It is a great story and congratulations to the Saints.